Essentials Plus Massage & Bodywork is home to Peggy Mundell, CMT (CMTC Cert #72037). 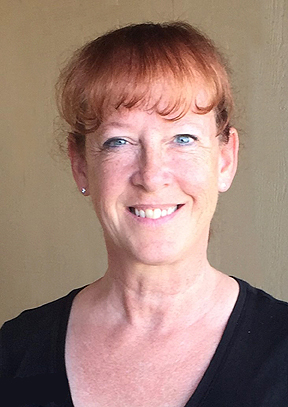 With over 17 years working as a Massage Therapist in Southern California, she brings a knowledge of how to work your muscles and an intuitive energy that helps her listen to what your tissues need. Each session is completely customized to your needs. Add to this a strong background and passion for the physical and emotional benefits of Essential Oils, you will leave your session with a newfound understanding of what it means to feel GOOD! "Healing Hands for Total Health!" In short - what makes Essentials Plus Massage & Bodywork different for you? Each session is customized, an hour appointment really IS an hour of hands-on table time, and there is no additional charge for Essential Oils, steamed towels, hot/cold stones or deep tissue work. Peggy's goal is creating sessions that center around YOU! For each session you book, plan on your actual time here to be up to a half-hour longer than just the table time. For example, of you are booking a 60-minute session, that will include up to 15 minutes before the start to find out what your goals are for your session, 60-minutes of hands-on treatment, and up to 15 minutes after your sesson for followup (suggested stretches, answering essential oil questions, etc). Peggy's strengths include relief from: headaches, TMJ, neck pain, carpel tunnel, sciatic issues and stress/emotional pain. Utilizing techniques for relaxation, stress relief, Reiki, deep tissue, Essential Oils and more, she is prepared to be your Pain Relief Provider and Wellness Partner! please call for expanded appointment options!